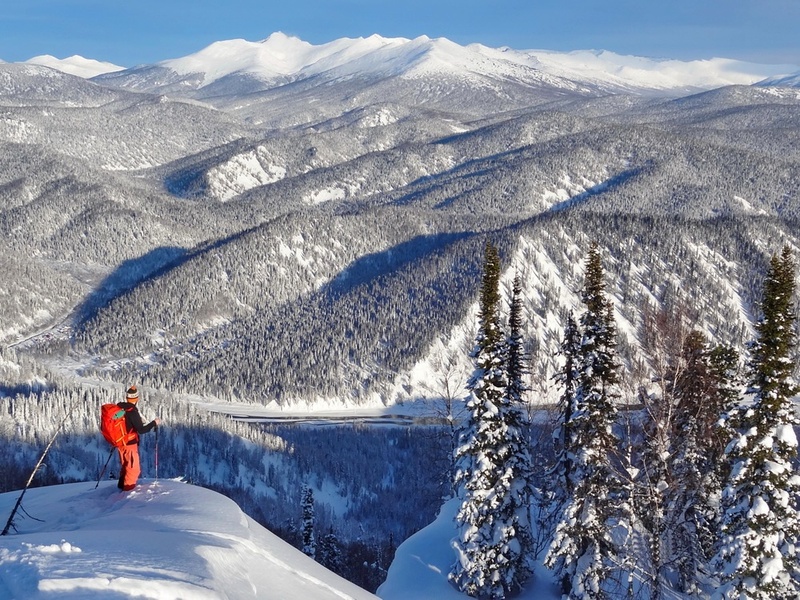 At the same time, if you are looking for a customised ski trip to a part of Russia we don’t mention, we will be glad to organise it for you with the same level of safety and quality provided on all our trips. Our ski season starts in the middle of November and continues right the way through to mid-June. This long window should enable everyone to find a convenient time to ski in Russia. Siberia is the heart of Russia. A vast territory with thousands of kilometres of mountain ranges. 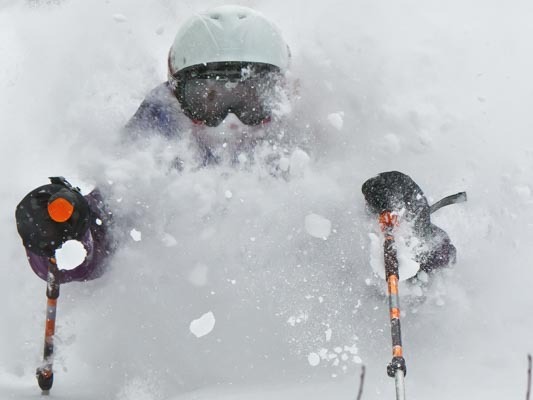 Air masses from the Arctic bring early and heavy snowfalls, which guarantees perfect powder skiing as early as November. This is a wild and severe land, but also very beautiful with its hardy inhabitants, interesting culture and remarkable cuisine. 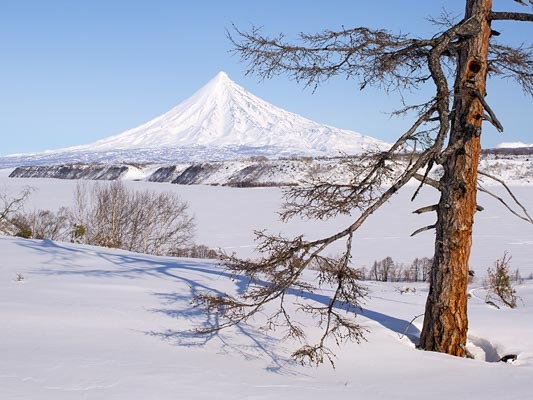 Kamchatka is a magic land, full of adventures. You will encounter the Pacific ocean, geysers, hot springs, diverse flora and fauna. And, of course, volcanoes. 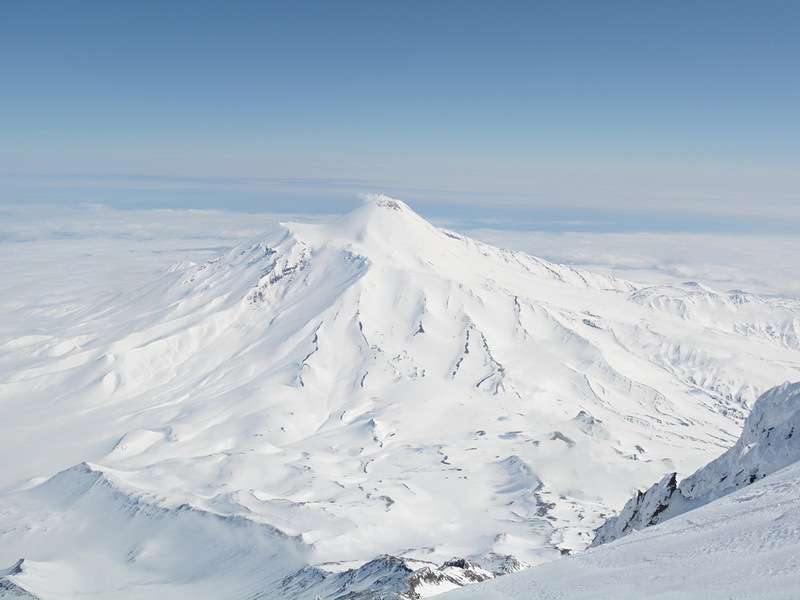 Hundreds of volcanoes are situated in Kamchatka, 30 of which are active. Amid astonishing landscapes you can climb to the top of a volcano and almost feel its energy; it has the ability to make you feel completely content and free. We've been skiing in Kamchatka for more than 20 years; each time we feel unique emotions, and each time is like the first time. 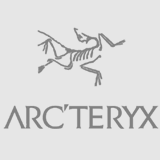 Logistical, guiding and translation services for outdoor filming or photography productions in Russia. With the help of our professional contacts all over Russia and our knowledge of the geography and culture of the country, we can organise filming in any part of Russia, ensuring product quality and safety. 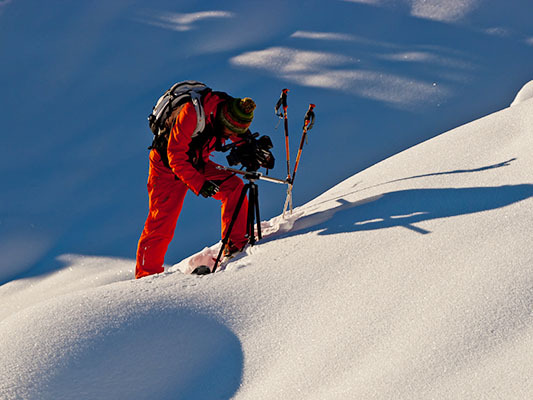 We can assist with project planning, budget creation, on-site coordination, guiding, translation and support for filming projects and expeditions. 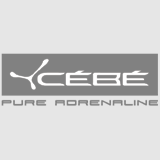 Management and guiding service for outdoor events, freeriding or ski-mountaineering competitions. 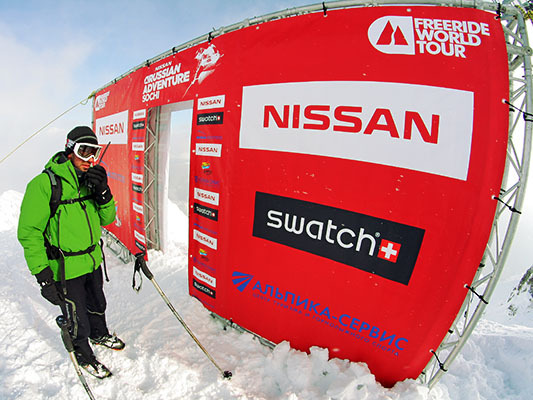 For several years our team has been working with both Russian freeride and several International competitions (including the Freeride World Tour) in the Caucasus and Siberia. We have all the knowledge and skills needed to organise such events. We provide mountain and avalanche safety programmes: Pre-planning, operation and supervision for all activities in the mountains of Russia. 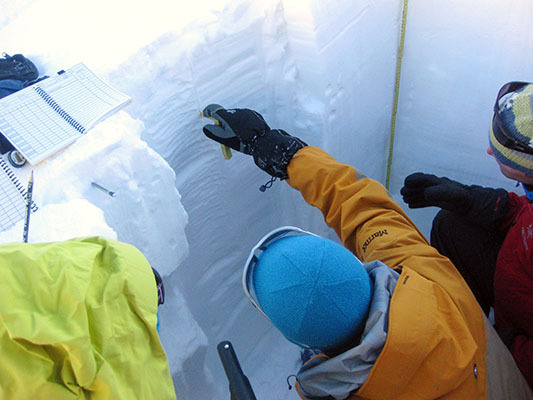 We work in cooperation with the Canadian Avalanche Association and the Association of Canadian Mountain Guides on all these projects. 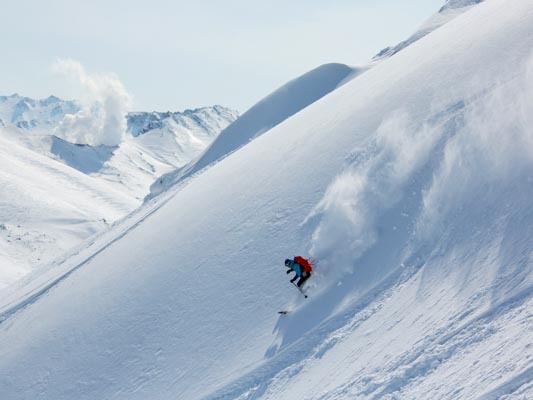 If you are a mountain or ski guide and going to visit Siberia or Kamchatka with your private group, we will be happy to collaborate with you to deliver the best possible skiing/splitboarding experience to your clients. 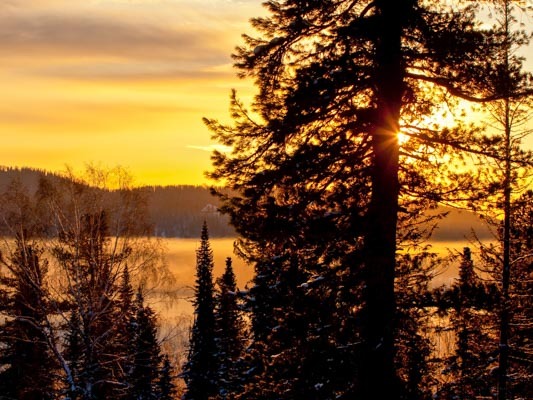 Our guides have an intimate familiarity with the different Russian regions that will ensure a good trip for your clients. 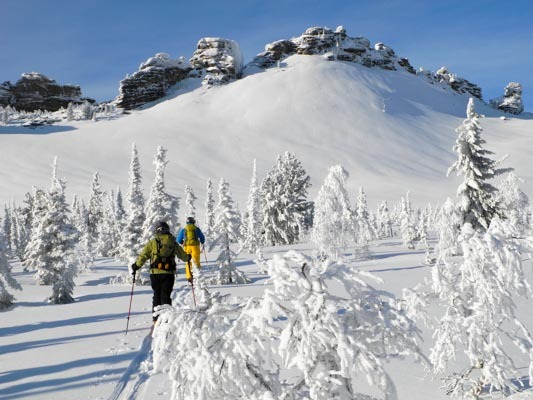 For Siberian region we offer packages for skitouring in Luzhba, as well as customised trips to any part of Siberia. 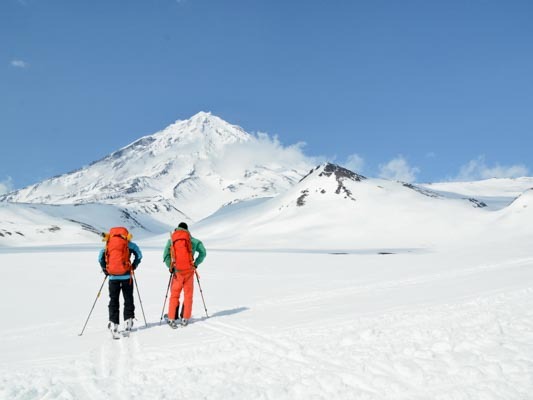 For skitouring in Kamchatka we offer help in general organization, logistic, accommodation, maps, tail guiding, etc. You can choose some of our standard programs or make your own custom trip.